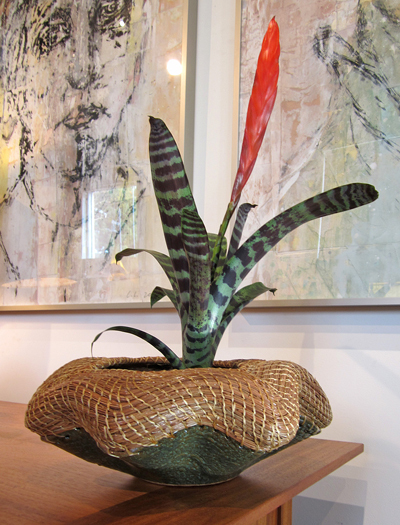 Jenny Andersen’s elegant wood fired ceramic vessels and sculptures evoke a feeling of mystery and the ancient past. Her ceramic chests are fully functional and as beautiful inside as outside. Jenny has recently been awarded one of two Island Treasure awards by the Bainbridge Island Arts and Humanities Council to recognize outstanding contributions to the arts and humanities. Jenny’s award notes her contributions to ceramic artistry, her role as an arts educator and her work as coordinator of the Empty Bowls Project, for which local school children make bowls that are auctioned with a meal of bread and soup to raise funds for local charity. Through her art and her teaching, Jenny “has touched countless lives, inspiring people to live more creatively and artfully,” said the nomination on her behalf. Jenny lives and works on Bainbridge Island, Washington. 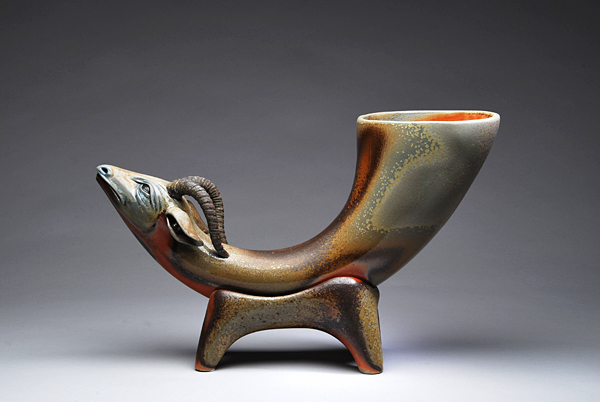 "Blue Mountain Ritual Cup," an extraordinary wood fired ceramic sculpture by Bainbridge Island's Jenny Andersen. Two pieces, base and cup. 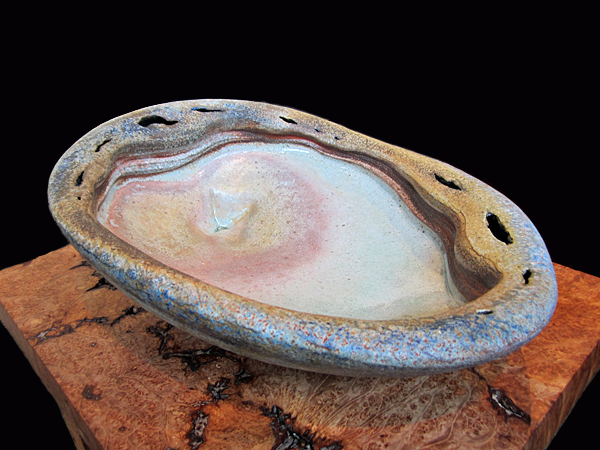 "Dungeness Basin," a beautiful wood fired ceramic sculpture from Bainbridge Island's Jenny Andersen. 2012. 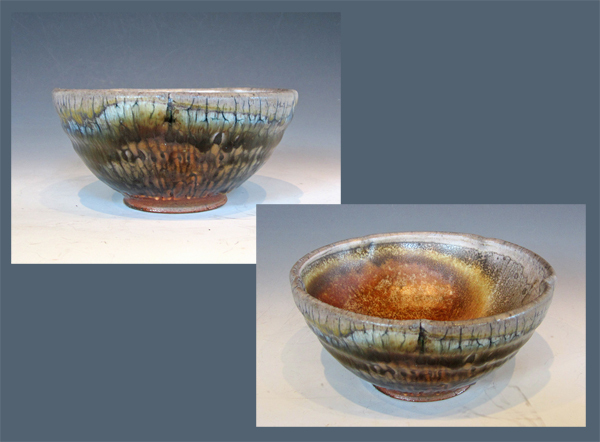 A remarkable wood fired bowl from Bainbridge Island ceramic artist Jenny Andersen, from the 51st firing of the Santatsugama (Three Dragon Kiln), Seabeck, Washington, February/March, 2012. Approximate dimensions, in inches: 2-3/4 x 6. 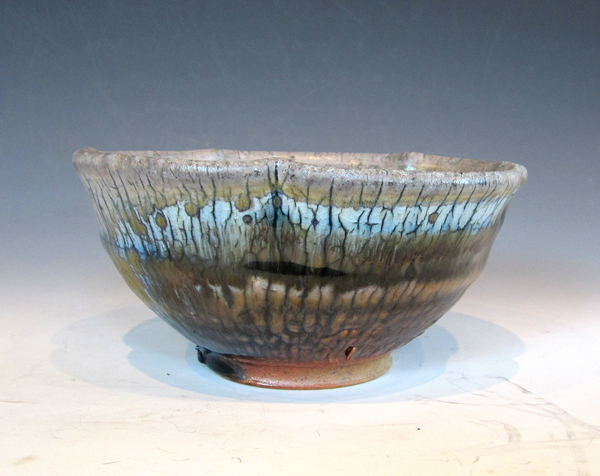 A beautiful wood fired bowl from Bainbridge Island ceramic artist Jenny Andersen, from the 51st firing of the Santatsugama (Three Dragon Kiln), Seabeck, Washington, February/March, 2012. 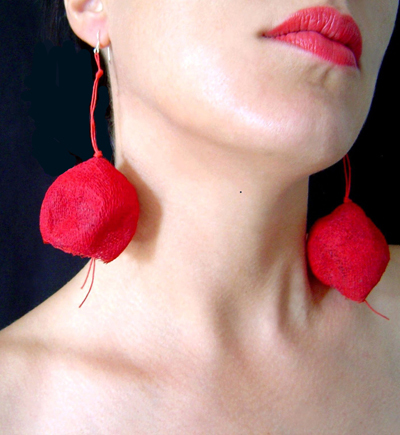 Approximate dimensions, in inches: 3 x 6. 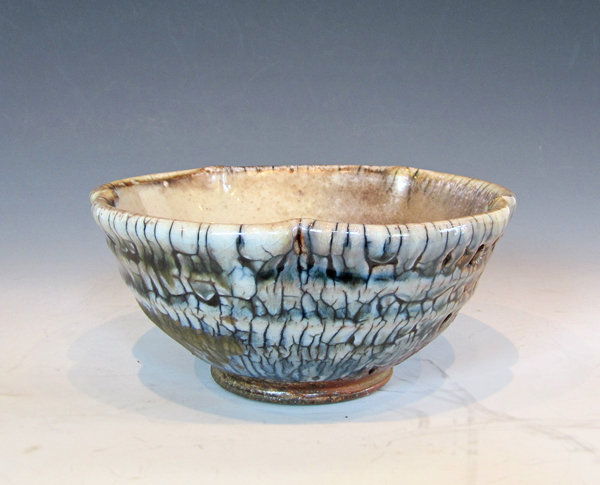 A magnificent wood fired bowl from Bainbridge Island ceramic artist Jenny Andersen, from the 51st firing of the Santatsugama (Three Dragon Kiln), Seabeck, Washington, February/March, 2012. The interior shows a striking, subtle golden glow. Approximate dimensions, in inches: 2-3/4 x 6. 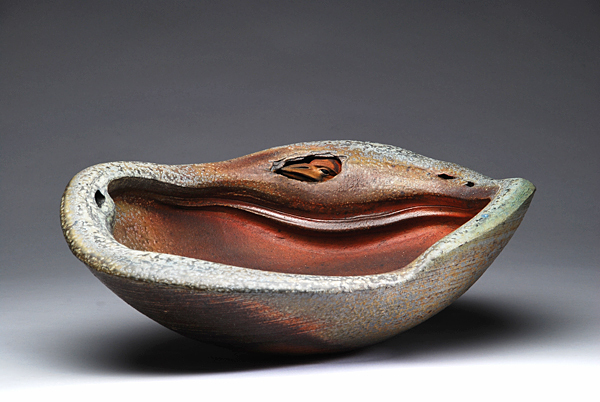 "Hobuck Basin," a lovely wood fired ceramic sculpture by Bainbridge Island's Jenny Andersen. 2012. 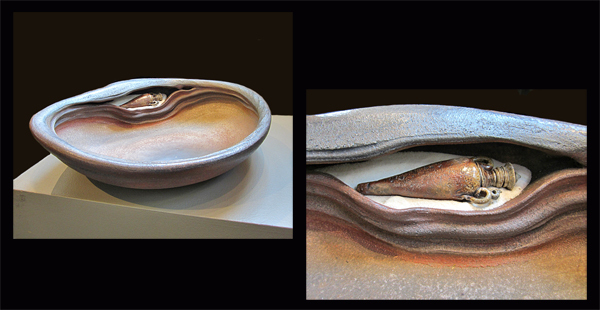 "Shi Shi Basin," a beautiful piece of wood fired ceramic sculpture by Bainbridge Island's Jenny Andersen. 2012. 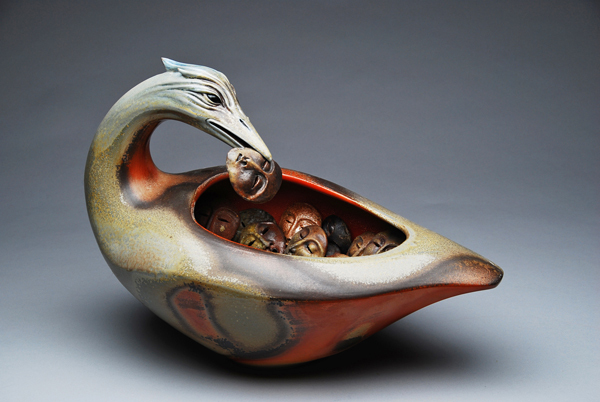 "Spirit Bird Feasting," wood fired ceramic sculpture by renowned Bainbridge island artist Jenny Andersen. 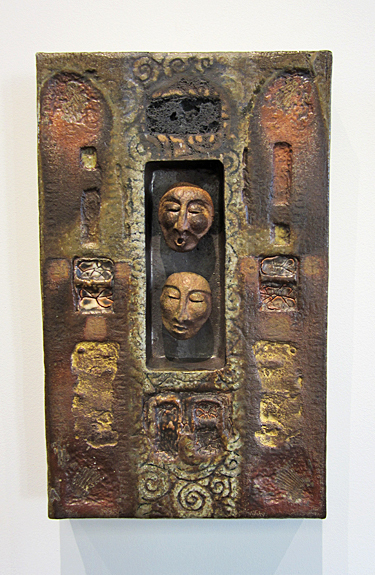 Featured in the gallery exhibition, "Fire & Imagination: Sculptures of the Earth." 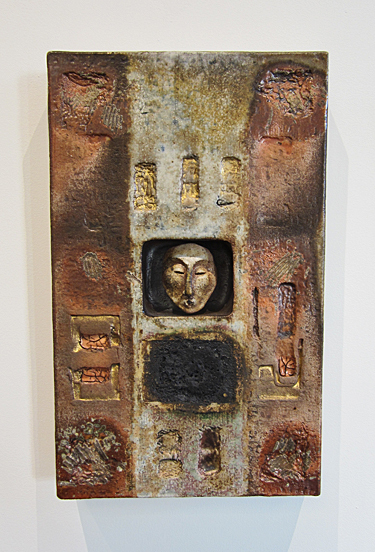 One of several exquisite wood-fired ceramic wall plaques currently available from Bainbridge Island artist Jenny Andersen. Dimensions, in inches: 16 tall x 10 wide x 2 deep. Please contact the Gallery for shipping estimate and additional information.